Posted on 08/15/2018 by Dr. Patrick Young wrote in Stenbolone. It has 0 Comment. Stenbolone powder(5197-58-0), brand name anatrofin, is an anabolic–androgenic steroid (AASraw) of the dihydrotestosterone (DHT) group. As Stenolone never marketed, so it is hard to find Stenolone today. Nevertheless, there is always the possibility of this compound regaining its popularity, especially if the appeal for the lean muscle mass look will return to bodybuilding again. 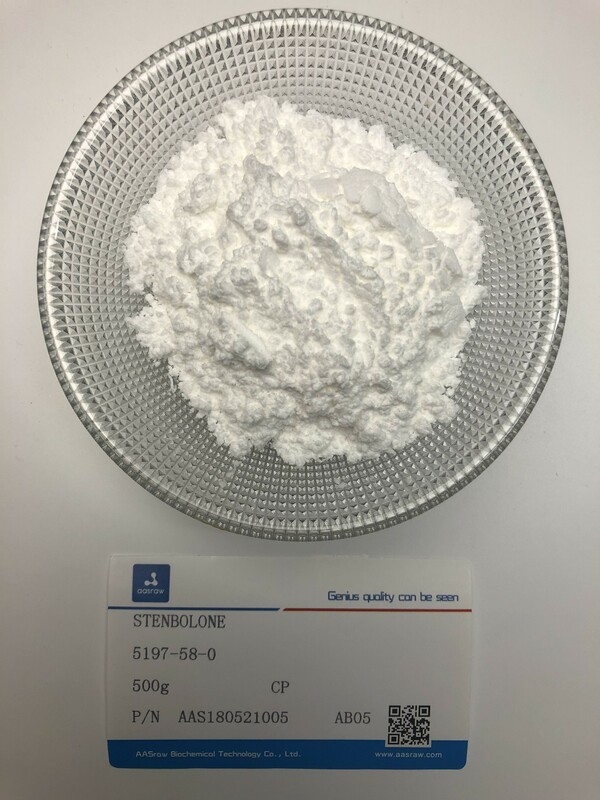 Stenbolone powder(5197-58-0)is an injectable anabolic steroid that was developed in the 1960’s in Germany.Stenbolone was introduced first in Germany by Schering, and two years later Syntex brought it to the United Kingdom, followed by Mexico, under the brand name Anatrofin. Eventually, it was brought to Spain under the Stenbolone name. Just like many anabolic androgenic steroids (AAS), anatrofin was used for its wonderful effects on anemia, and it was a very popular alternative to anadrol for this purpose because it had less side effects. 2. What is Stenbolone ? Stenbolone powder(5197-58-0)is very similar to both dromostanolone and oxymetholone. It is a derivative of DHT with a double bond between carbon 1 and 2 and a methyl group at position 2. The methyl group at position 2 protects the molecule from both aromatization to estrogen and to some degree, inactivation in muscle tissue by 3-alpha hydroxysteroid dehydrogenase. This 2-methyl group does decrease binding to the androgen receptor somewhat. This makes for a molecule that has slightly less binding affinity for the androgen receptor than primobolan but like primobolan, this steroid cannot be converted to estrogenic metabolites through aromatization. Stenbolone is considered by some to be a gentler version of oxymetholone. This steroid has a similar structure to oxymetholone but is not C-17 alpha alkylated so it has minimal effects on liver function. Stenbolone builds up red blood cells like oxymetholone and is metabolized to some degree to dromostanolone which has also been shown to increase red blood cells. As a matter of fact, steroid guru Daniel Duchaine considered anatrofin as one of his favorite steroids, and has written that if he had to pick one compound to run for the rest of his life, he would choose Stenbolone. This shows how popular Stenbolone powder is in the fitness market. 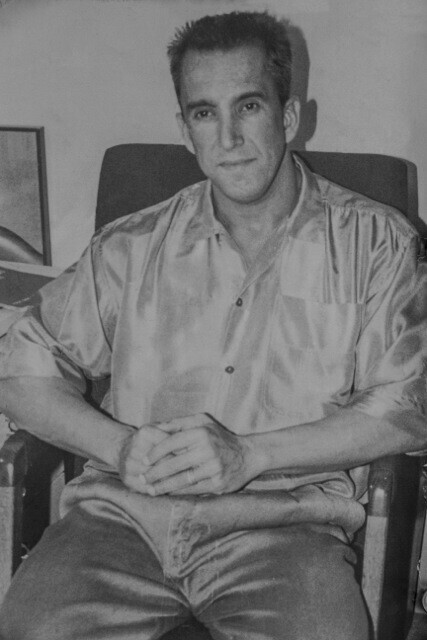 Steroid Guru Daniel Duchaine is a controversial figure in the bodybuilding world, once described as a “cross between Andy Kaufman and Albert Einstein, with some Bart Simpson thrown in.” A recent release of Federal Bureau of Investigation records on Duchaine reveal him as not only an expert on masking the use of anabolic steroids in athletes, but also an expert at masking their trafficking from the FBI. The common form of Stenbolone is Acetate type(stenolone acetate). As the reader can guess, with the acetate ester attached, the stenolone half life is only 3 days. This means that you will need to inject stenolone(anatrofin) much more often than the common ester of primobolan enanthate. Remember, half life doesn’t mean how long the compound stays in your system – it means the duration of time that will elapse, when half of the compound will be left. Having said this, with the acetate ester, either everyday or every other day injections are recommended. Stenbolone does not seem to result in as much size gain as anadrol or as much bloat so it likely does not have as much inhibitory activity on 11-beta hydroxylase. Stenbolone tended to be injected daily because of the short half-life of the acetate ester. Additionally, the stenolone acetate ester seems to produce pain and swelling at the injection site. Stenbolone has similar androgenic activity compared to 1-testosterone, the unmethylated version of this drug, but with higher anabolic activity. This is likely due to the reduced conversion to 3-alpha hydroxy metabolites. Stenbolone offers many of the advantages of oxymetholone with less bloating and elevated blood pressure. Since the substance is in acetate form it has only a low half-life time so that frequent and regular injections are necessary in order to ob-tain sufficiently high and constant blood level values. For optimal results Stenbolone is normally taken daily and injected at least ev-ery 2 days. The usual weekly stenbolone dosage for athletes is 200-300 mg. For this reason the 50 mg strength is often preferred and the athlete either injects the entire one-milliliter ampule daily or limits the use to half of it. Women normally do well with stenbolone dosage 100- 150 mg/week and should divide their weekly dosage into three equal parts. The poten-tial side effects are low since the compound is well tolerated by the liver and edemas, gynecomastia, and high blood pressure do not occur. Cases of acne and increased aggressiveness in men are low and rare, as is a reduction in the body’s own hormone production. Virilization symptoms in women also occur rarely and for the most part in very sensitive persons when high dosages are given or when the intake interval lasts over several weeks. The stenbolone side effects are automatically going to be low, as this compound does not aromatize into estrogen at all. Therefore, such estrogenic side effects as increased blood pressure, insomnia, water retention, and gyno will not occur. Interestingly enough, anatrofin does have slight androgenic traits, even without the aromatization of estrogen, leading to a possibility of having some acne, oily skin, and increased aggression. Thus, women should be wary of this steroid. 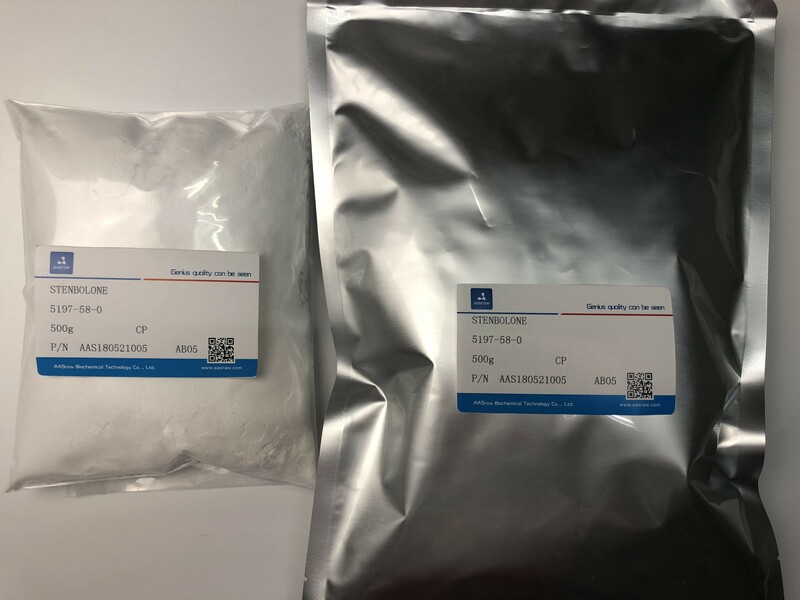 Stenbolone powder is very popular in the bodybuilding market, unfortunately, this compound is very difficult to find today, and even though there were rumors of possibly only one company still producing it overseas, they were not confirmed. AASraw provide stenbolone for sale online, click here to get your stenbolone powder easy,fast and safely.